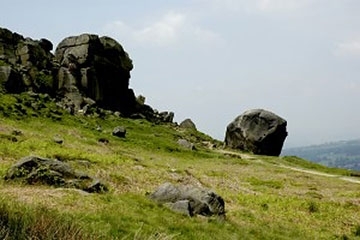 We are a family-run business based in offices overlooking the famous Ilkley Moor in the beautiful Yorkshire Dales. Our small team is led by Peter Hunt who has worked in senior positions within the travel industry for over 30 years including well known self catering companies such as Keycamp Holidays, Cottages Direct, French Life and Chez Nous. We all have a passion for exploring this beautiful island of ours and believe that staying in self catering holiday accommodation is one of the best ways to really get to know the UK. There is so much variety in the landscape, the architecture, the customs, the food and drink and the people. Despite increasing uniformity, we believe that you can still discover this rich diversity if you look hard enough and you will have a much more fulfilling holiday for that.